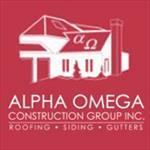 Alpha omega inc is the best commercial roofing contractor in Columbia . Hire us for affordable commercial roofing services in Columbia. Alpha Omega Construction Group is the largest roofing contractor for Commercial Roofing repairing and installation in Columbia. We offer professional building envelope services for Commercial customers in Columbia and beyond. If your home is in the Columbia area, Alpha Omega Construction company is the best choice to meet your roof repair, roof replacements and new roof installation construction requirements.